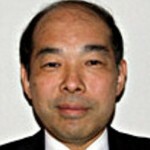 Dr Hiroki Nakatani was Director-General at the Department of Health and Welfare of Disabled Persons before joining WHO as Assistant Director-General. During a long career at the Ministry, he acquired extensive technical experience in public health including tuberculosis and HIV/AIDS, as well as immunization, non-communicable diseases, health promotion, health emergencies, and health workforce development. His senior-level responsibilities in the Ministry included a focus on administration, management, as well as organizational and legislative development. Introduction to the Forum: "Global vision on the change in the Healthcare Landscape"